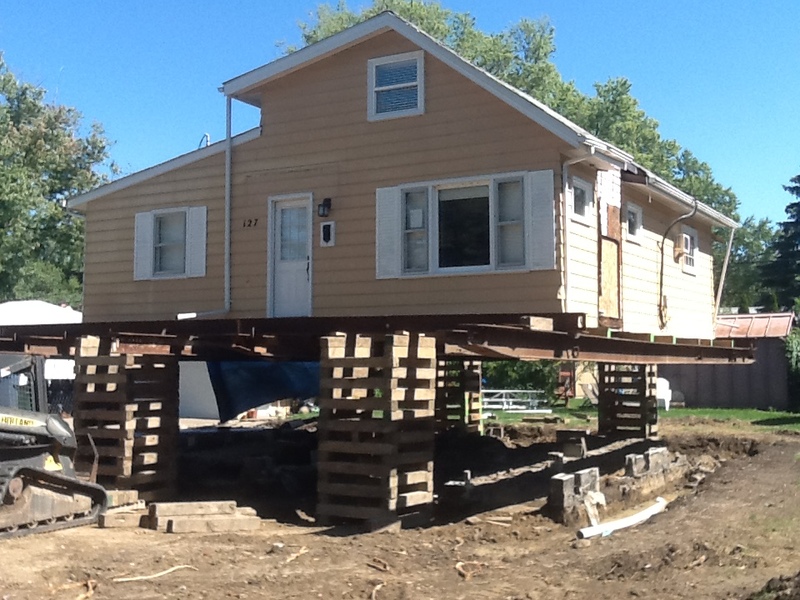 A customer’s story of adding a basement to an existing house. Let’s call them the Smith family, just some folks who need additional space at their house. They looked at their options. At first, they were not considering adding a basement to an existing house. A lot of people add on they thought. In fact, some of their friends were thinking of adding on or even had already added on to their houses. It seems like a good idea. As Mr. and Mrs. Smith explored an addition they kept coming up with the same issues. Their house just wasn’t designed to be added on to, especially in the way they wanted. With an addition, they would lose a couple windows which they didn’t like. There was no good way to make the roof lines work out. No matter what they came up with there were potential problems with flashing or flat roofs. These just didn’t seem like good things to add for potential leeks down the road. Then there was the matter of taking up some of their yard. They really liked their yard and the idea of losing some of it didn’t sit well with them. Finally, the straw that broke the camel’s back was that an addition was going to require an additional HVAC system. You see the current furnace and AC, though adequate for the house as is, were not big enough for the house plus the addition. What to do? Thankfully for the Smiths and many of you, there is an answer. The Smiths went online and found adding a basement to an existing house was a very viable option. With adding a basement to an existing house, they got an entirely new floor to their house all without taking up any of their yard. The problem with roof lines and possible roof leaks went away as well. In addition, their existing HVAC system was adequate for the job since an insulated basement in very easy to heat and cool. So as you can see for the Smiths adding a basement to an existing house was just the right decision for them.